Ryan Kelly, CEO of Spectrum Asset Management, Inc., has worked with the firm since 1990. Ryan works with clients to align their wealth with their vision, values and goals. His responsibilities include developing new client relationships, investment counseling, portfolio management and wealth management. Ryan transitioned Spectrum from a pure portfolio management firm in the late 90’s to a wealth management firm. In 1999, he incorporated Values Based Financial Planning created by Bill Bachrach into the firm. In 2005, he incorporated some of the key ideas of Dan Sullivan, including R-Factor and D.O.S. and in 2007 he began working directly with Bruce Wright and became trained in the use of Macro Strategic Planning. Ryan earned his Bachelor of Arts in Political Science from the University of California, Santa Barbara in 1990. While at UCSB, he was elected president of the Lambda Chi Alpha fraternity and remains involved with the fraternity. He has served on numerous boards in a fiduciary capacity, often filling the role of Chairman. 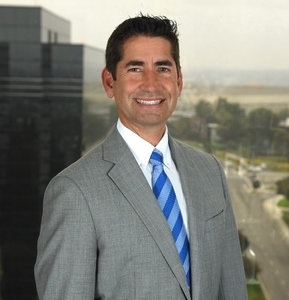 He recently completed a three-year term on the Board of Directors of the Pacific Club, the premier business and social club in Orange County. Currently, he chairs the Investment Committee for Coastline Community College Foundation. He has taught investment courses at local community colleges, and has been a presenter on fundraising and investments to various non-profit groups, including the Network of California Community College Foundations (NCCCF). Ryan has had several articles published on fundraising and investments in national publications, and is a frequently-quoted authority in the field. Ryan grew up in and lives with his wife and children in Newport Beach.